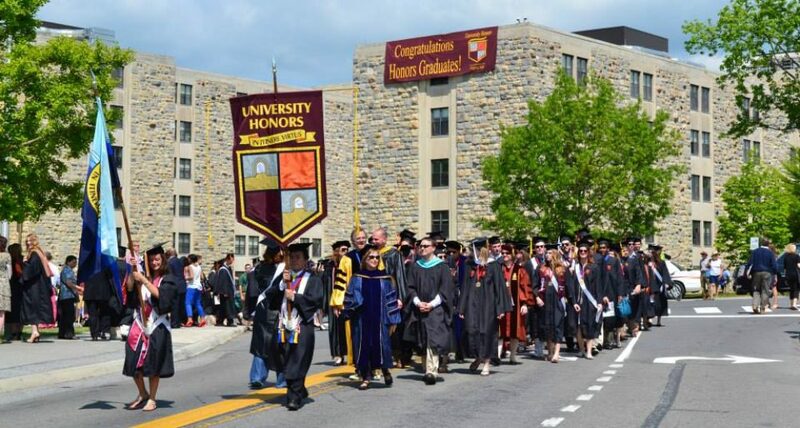 The contributions of honors students to their universities are certainly recognized by honors professionals, but the contributions often cited are increased average test scores, more awards–such as the Udall Scholarship for undergraduates–and higher graduation rates. AMES, Iowa — An Iowa State University student has been named a 2012 Udall Scholar by the Udall Foundation. Casey Fangmann, a senior in industrial engineering from Toddville (formerly of Cedar Rapids), is one of 80 students in the nation to win the prestigious scholarship. The award was announced by the University Honors Program, which coordinates nominations and applications. Fangmann is well known at Iowa State for his work with The GreenHouse Group, which created a recycling program for the university’s residence halls. During his term as president (2009-10), The GreenHouse Group won the Governor’s Iowa Environmental Excellence Award with ISU Dining, ISU Department of Residence and Facilities, Planning and Management) and the ISU Live Green! Award. A member of the University Honors Program, Fangmann won the Lockheed Martin Corp. Award, an Iowa State College of Engineering award for engineering excellence, and the engineering college’s Building a World of Difference Renewable Energy Scholarship, which is sponsored by Black & Veatch. And he received Iowa State’s award for top student leaders on campus, the Student Affairs Outstanding Challenger Award. He was one of the top five candidates for America’s Next Eco-Star Competition. Established by Congress in 1992, the Udall Foundation awards scholarships to undergraduate students who show promise of making significant contributions — through scientific advances, service or community action — to environmental, natural resource or Native American issues. Scholars are selected for their participation in campus activities, research or service. Fangmann was selected from a field of 585 candidates nominated by 274 universities and colleges throughout the United States. Only about 15 percent of those nominated are named Udall Scholars. “Students chosen for this highly selective scholarship will move into a broad range of environmentally related careers in law, regulation, policy, conservation and research,” said Dana Schumacher, an assistant director of the University Honors Program. As president of The Green Umbrella — a student organization that serves as voice of sustainability at Iowa State — Fangmann coordinated 40 campus and community sustainability events for the 40th anniversary of Earth Week in 2010. Fangmann has interned three summers with Rockwell-Collins in Cedar Rapids, most recentlyworking with its Global Sustainability Team. The 2012 Udall Scholars will assemble in August in Tucson, Ariz., to receive their awards and meet policymakers and community leaders in environmental fields, tribal health care and governance. Each Udall Scholar receives a scholarship of up to $5,000. This entry was posted in Honors News, Honors Research and tagged Casey Fangmann ISU, Iowa State Honors Program, ISU honors students hits students where they live by Honorsadmin. Bookmark the permalink.